UN Watch executive director Hillel Neuer highlighted the importance of bringing victims to meet UN officials. In January, when UN human rights chief Navi Pillay called for a full-fledged international inquiry into “serious crimes” committed by North Korea, she referenced the case of Shin and having just met him. The UN Human Rights Council recently named commissioners to investigate the human rights record of North Korea. Shin was made to watch his mother and brother executed. Having been born and raised within the camp’s perverted moral universe, he was the one who had informed on their plan to escape. “UN Watch has decided to grant the Moral Courage Award to Dong-hyuk Shin for bearing witness to atrocities and stirring the conscience of mankind to protect the fundamental human rights of the voiceless victims of North Korea,” said e xecutive director Hillel Neuer. “No one would have blamed him for seeking a life of quiet and recuperation. Instead, Shin dedicates his life to speaking out for those left behind,” said Neuer. 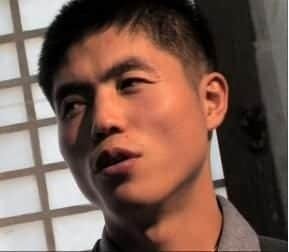 UN Watch has brought numerous North Korean victims and activists to speak at the UN, and leads NGO campaigns to confront the murderous dictatorship within the world body. UN Watch is best known for organizing the annual Geneva Summit for Human Rights and Democracy, a key gathering for dissidents, and for bringing victims to testify before the United Nations Human Rights Council, including from China, Cuba, Egypt, Libya, North Korea, Syria, Sudan and Venezuela.